So you just signed up for a company plan and wondering how to add your teammates, right? Sometimes you need to invite your team members to work on projects with you to speed things along. For example, this is convenient when you need to work in tandem with others and have multiple productions, or if a teammate is helping with tasks. So how do you create multiple profiles under one account? To add additional users on your account, you must first upgrade to one of our Company plans. On the Teams page, click Add or Remove Team. Enter their name, email address, and a personalized note (optional). Then click Invite New Teammate. Select monthly or yearly, then click Update Plan. You will be billed immediately after this and will receive an emailed invoice. Currently, the Individual memberships (Indie, Professional and Studio) do not provide Teammate functionality. You must be subscribed to one of the Company plans to add a Teammate to your account. What privileges does my teammate have? Teammates have complete admin privileges to the entire account. 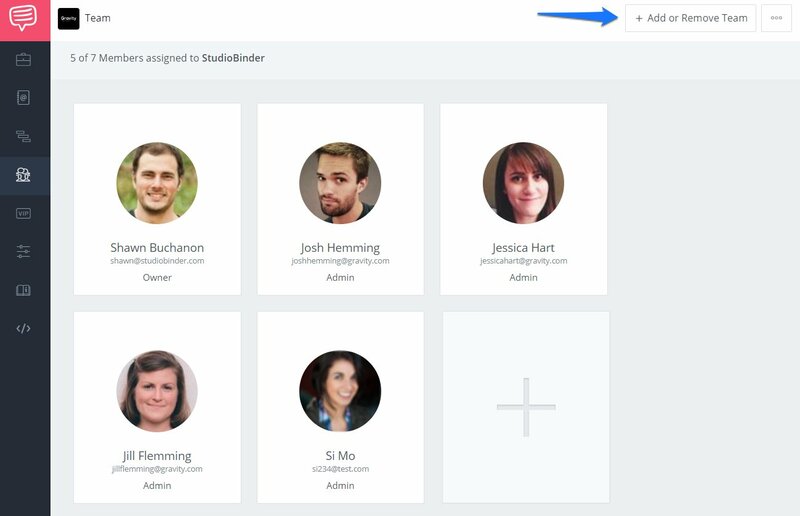 This means that they can manage, create and edit contacts, call sheets, shot lists, and more. Can I remove a teammate at any point? Yes, you can remove teammates at any point, then assign the available team seat to a different user. I want to assign tasks to crew but I can't, why? Keep in mind that a contact is different than a Teammate. Currently, you can only assign a Teammate to your account and not talent/crew contacts. If you're inviting a teammate that is already a StudioBinder customer, the best option would be for them to downgrade their account to the Free plan, then invite them to your account.